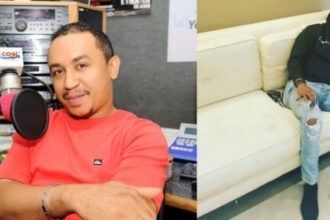 On-Air Personality, Daddy Freeze has joined infamous actor, Uche Maduagwu, to defend the disgraced actress, Oge Okoye, over the recent dog brouhaha which which has got people talking about the Nollywood actress. Oge had recently posted a photo of two dogs on her page and got called out by American actress, Kenya Moore who claimed the dogs to be hers. The Nollywood actress has since taken down the dog’s photo. 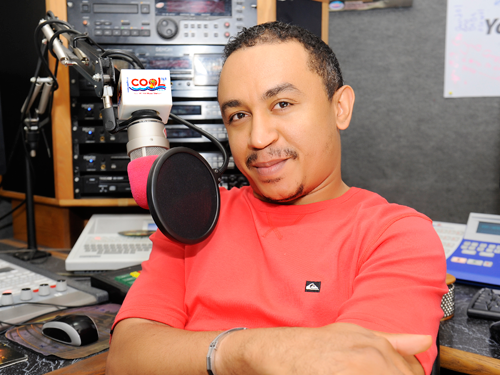 Meawhile OAP Freeze took to his Instagram page to warn Nigerians against picking on the actress. “LEAVE OGE ALONE ! ! ! Instead of judging the pastors and politicians that robbed you blind and left you to starve in penury, you are judging OGE! Instead of judging the South Africans that are killing your people and looting their property, you are judging OGE!! Oge, you are a beautiful and talented woman, God is going to do something miraculous in your career this year, in Jesus name! LEAVE OGE ALONE ! ! ! – Instead of judging the pastors and politicians that robbed you blind and left you to starve in penury, you are judging OGE! – Instead of judging the South Africans that are killing your people and looting their property, you are judging OGE!! – Oge, you are a beautiful and talented woman, God is going to do something miraculous in your career this year, in Jesus name! AMEN!